Camden Cleaners is a professional NW1 cleaning company that has been in the business for many years. We are a well seasoned and established cleaning company that prides ourselves on being responsible, respected and professional. Our list of Camden cleaning services is endless and so we know that we can cater for whatever cleaning needs you may want to hire us for. 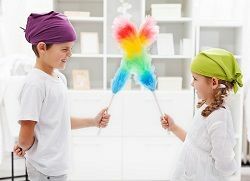 Unlike other cleaning companies around the country, our team of staff at our company works on a flexible basis so that every client that uses our services can benefit from our flexible and convenient cleaning services where you can personally pick as and when you want your cleaning to be carried out by us. By calling us up at any time on 020 3397 8237 you may enquire about our services or even book a clean of some sort with us on the same day – it really does not matter to us! You are in charge of deciding on a time for us to come to undertake your cleaning that best suits your everyday life and as our team works around you so that us coming to clean for you does not interfere with your time frame, you never need to worry about us inconveniencing you. Camden Cleaners can guarantee that you have a clean and accommodating property all of the time so that your cleaning tasks need never to get on top of you or cause you to feel stressed about not having enough time to complete them to the level that you are happy with. If you are interested in finding out more about our ultra clean services then call 020 3397 8237 now. Hire Professional Camden Cleaners Today! Over the years in which our Camden cleaning company has been an established firm, we have undertaken thousands of cleans and have made a high volume of our clients happy. Cleaning usually takes up a lot of time for people and what with people finding themselves with more and more things to do now on a regular basis, it can be extremely difficult for a lot of people just like you to find the time to successfully clean their properties and furnishings to a reasonable level. It is stressful and hard work to take to your cleaning tasks the moment you get in from work at the end of the day or when you finish dealing with all of your day to day tasks and when you really think about it who wants to finish a long, hard day only to have to then start the task of cleaning their property or upholstery items leaving them with very little or no free time at all?! The answer to this question is most likely to be no which is why we are here to help you. Our cleaning company WC1 believes that if your outstanding cleaning duties that soon come round again and are in need of being completed perhaps not too long after you had last taken care of them then it is time to call in some help in the form of hiring our professional team of cleaning experts. By hiring us, you can free up more of your free time and enjoy using the time that you would usually spend cleaning doing something much more enjoyable and creative instead of you feeling forced to have to get the cleaning bucket to begin a hard session of cleaning after already having finished a long hard day. Our Camden N1 cleaning services come in a wide range of cleaning services NW1 that have been specially designed to fit in to your everyday lifestyle. If waiting in for our WC1 cleaning team is not convenient for you then why not instead leave a set of keys at our office so that our cleaning team can take them out only on the days when it is your cleaning session so that our cleaners N1 can access your property to clean, therefore making sure that you never miss a cleaning session with us! Our team works quickly and efficiently to ensure that your cleaning gets sorted and finished in the shortest amount of time possible so that are services are nothing but convenient for you and that we do not disturb your everyday lifestyle and time frame in any way. Every time our company comes to clean for you, you will be able to ensure that you are promised to see high quality results after every clean with us, as this is something that we guarantee. The way in which we work is that we thoroughly clean every part of your property or every area of your upholstery items to fully restore them to a cleaner looking and fresher smelling state. We know that entering in to a property where the furnishings, upholsteries and general appearance of the property is drab and unwelcoming due to its unclean atmosphere, is not nice and actually rather quite unpleasant which is why keeping your domestic property, your commercial property and your upholsteries in them clean and bright is important as it really does lift and improve the mood of any premises or property. Our list of services includes office cleans, house cleaning NW1, carpets cleans, upholstery cleans N1 and end of tenancy cleans, all these services of which are performed by our expert team of staff that know just how to effectively clean and remove the stains, odours and dirt from your property and the upholstery items within it. After just one clean with our cleaning experts you are guaranteed to see excellent results and with that said we urge you to get in contact with Camden Cleaners today to book your professional cleaning with our company today. You may also request a free no obligations quote prior to using our services by again, calling 020 3397 8237 for more information.